As Daniel headed to the West Coast in preparation for the Auto Club 400, he knew it would be a different atmosphere. 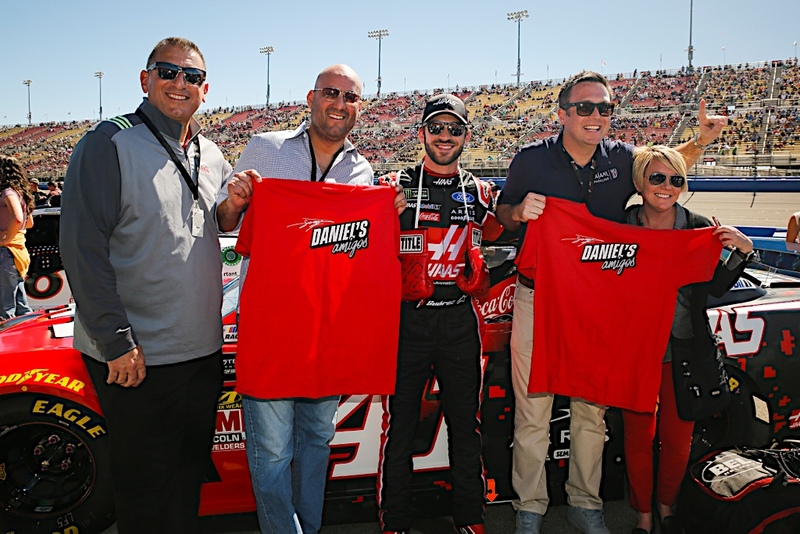 For starters, fans had the opportunity to view Daniel’s perspective from inside the Haas Automation Mustang courtesy of Coca-Cola, which sponsored his in-car camera for the race. Plus, Daniel’s good friend and WWE Superstar Rey Mysterio was going to be hanging out on the track and was the Honorary Pace Car Driver. The duo even swapped autographed gear. How cool were those luchador masks, right? But man, the crowd in Fontana – WOW! It was just like being at a soccer game! 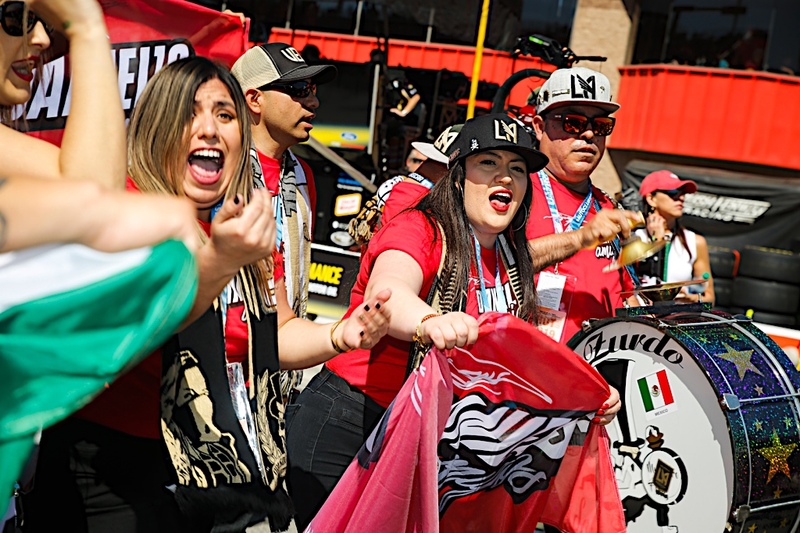 Daniel had the support of 500 “Daniel’s Amigos” in the grandstands on race day. 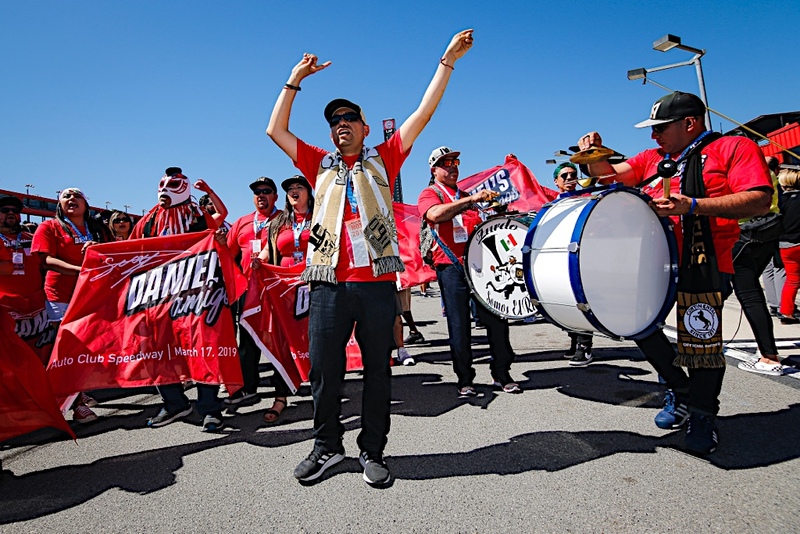 The stands were filled with the red #DanielsAmigos shirts, the fans were L-O-U-D and well, of course there was music, too. The crowd was just so supportive. Check out some of the photos and you can see right away that it was a ton of fun! “Daniel’s Amigos” is a fan-focused movement to engage and celebrate with Daniel’s fans.